Last Monday, January 21 2019, the final hearing in Peike’s higher appeal took place. To support Peike while he received the verdict, around 40 friends and allies from Hamburg, Amsterdam and several other European cities were present. 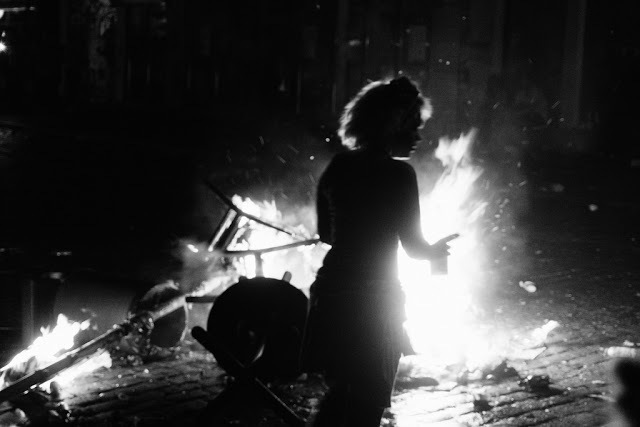 #NoG20 Elbchaussee Trial – Can a demo be considered an organized criminal gang? First elements to understand the course of the procedure to Elbchaussee that started in Hamburg on December 18 – or: How the German state tries to prove that all persons participating in a demonstration are organized felons and should be convicted as such. Continue reading #NoG20 Elbchaussee Trial – Can a demo be considered an organized criminal gang? 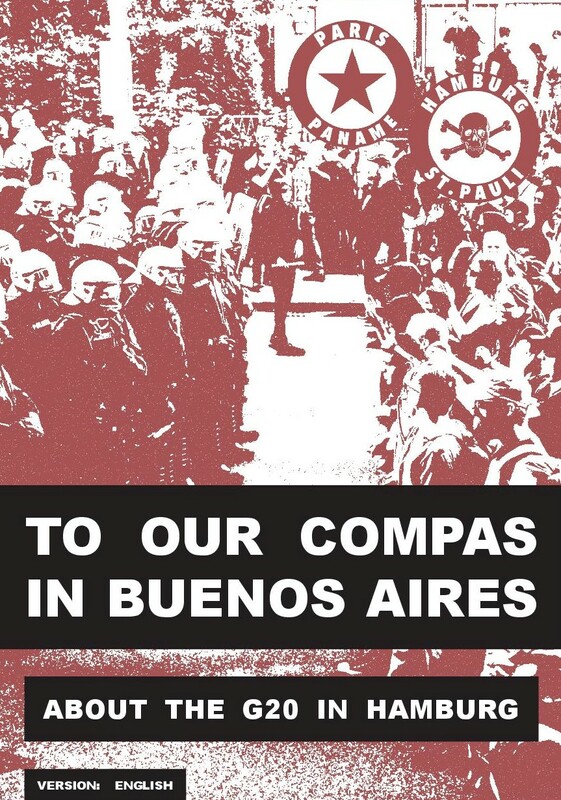 We republish this statement signed by anarchist and social movement organizations around the world denouncing the current wave of repression aimed at left, anarchist and social movement organizations in Argentina. 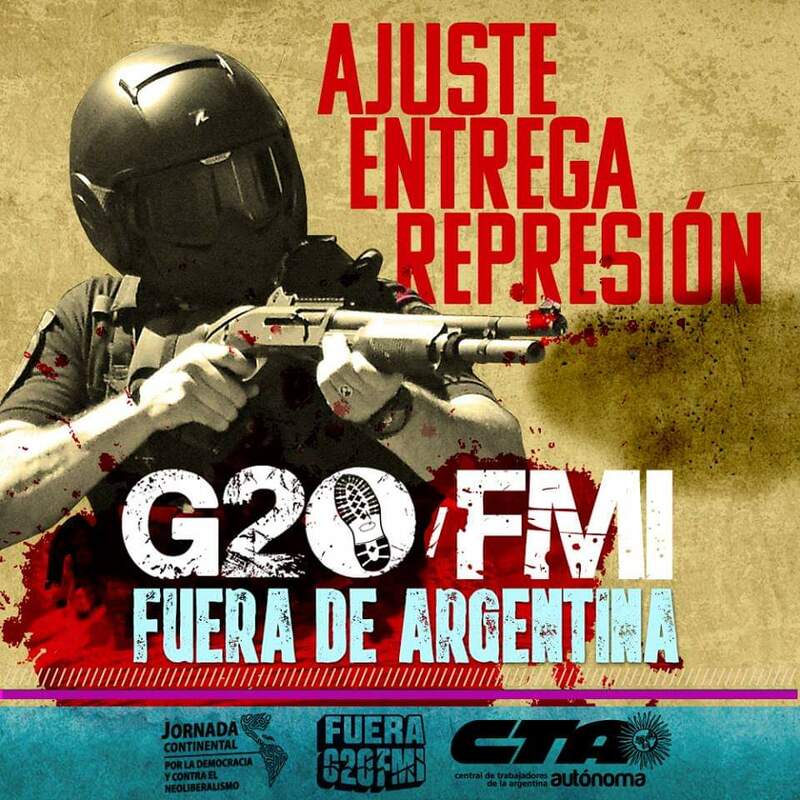 #Argentina – Repression before #FueraG20: Without fear & with perseverance let’s extend the offensive! Information about the recent repressive blow of the Argentine state (just before the start of the protestst against the G20 summit in Buenos Aires, EIE). Continue reading #Argentina – Repression before #FueraG20: Without fear & with perseverance let’s extend the offensive! This year, the Argentinian government is hosting the G20, a one year process during which more than 80 meetings of G20-working groups, ministerial meetings and summits of the focus groups are taking place in our country. International call for action: NO to the G-20 Summit in Argentina! 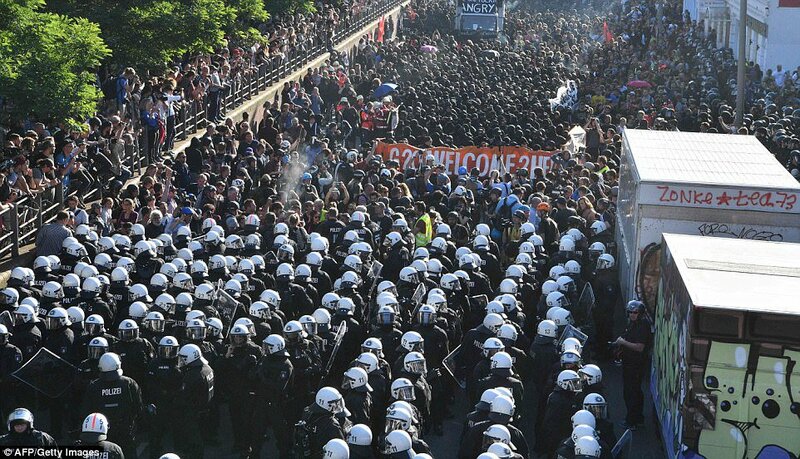 This is a detailed report and reflection on what happened before, during, and after the 2017 G20 summit in Hamburg, Germany. At the same time, it is a letter addressed to the activists and residents of Buenos Aires, Argentina—where the next summit (protest) will soon take place. Yesterday the court of appeal in Hambarg suspended the sentence of Peike. Peike was imprisoned after last years NoG20 protests. Mapping #NoG20. Interview with Peter Ullrich and Donatella Della Porta one year after the counter-summit in Hamburg. One year after the counter-summit in Hamburg, Anna Clara Basilicò interviews Peter Ullrich – research associate at Technische Universität Berlin – and Donatella Della Porta – professor at Scuola Normale Superiore. They are both working on the research project “Mapping #NoG20”, which aims at reconstructing repressive and judicial dynamics of G20 events. Continue reading Mapping #NoG20. Interview with Peter Ullrich and Donatella Della Porta one year after the counter-summit in Hamburg. 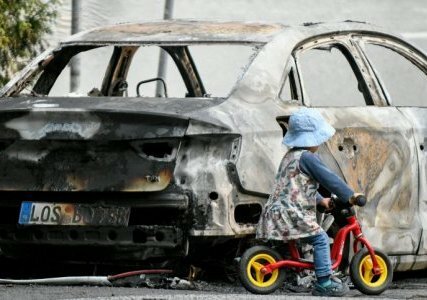 A process of ongoing high-level cooperation between European governments following the G20 in Hamburg this time last year has led to the creation of a “black bloc task force,” as well as what appears to be a Europe-wide digital database of so-called “left wing extremists” based on a dubious and toxic ideological framework, according to a series of articles, activist commentary, and government documents.